Bring your space alive with some LAINEY K Wall Art. All of LAINEY K prints are original – imagined, designed and created with love and laughter, by Elaine in Ireland. Each printed is designed to give you a feel good factor every time you see it. Get something beautifully different for your home, office or for a gift here. 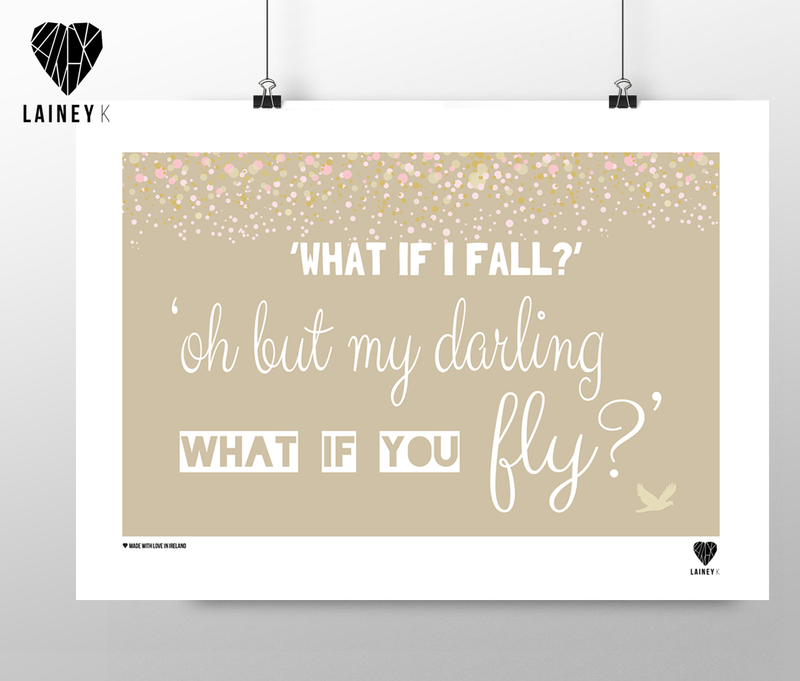 LAINEY K Wall Art is available in A3 and A4 size. All of my work is produced on 350 gsm, smooth finish stock, giving the art a beautiful matte, smooth feel finish. Your prints will arrive flat individually packed in a cello wrap accompanied by a hard back board for extra protection. FRAMED PRINTS ARE AVAILABLE UPON REQUEST: FRAMED A4: €32.00 | FRAMED A3: €50.00.